This Fact Sheet summarizes the key achievements of the Joint Programmes in Ethiopia. While Ethiopia has experienced impressive economic growth and a dramatic drop in the poverty rate, a significant number of children under five are still underweight or stunted. This Joint Programme worked with the government to improve the treatment of malnutrition and the care and feeding practices of children and mothers, upgrade the production of complementary food, and strengthen information and monitoring systems. In MDG-F project areas, the prevalence of underweight children fell from 50% to 9% in three years. Ethiopian pastoralists constitute 14% of the total population and have among the highest rates of poverty and the lowest human development indices. Because their income is so dependent on livestock, they are particularly vulnerable to the impacts of climate change on the region,which will include increased poverty, water scarcity and food insecurity. This Joint Programme worked with 32,000 pastoralists in some of Ethiopia's most geographically isolated, vulnerable and impoverished areas to better adapt to climate variability and change. 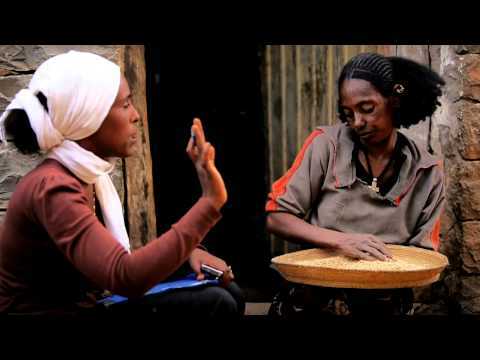 Women in the Ethiopian region of Tigray have a tough life, with limited access to financial, medical, educational and social support systems. Many women suffer as a result of harmful traditional practices such as female genital mutilation, child marriage and abduction. The Joint Programme “Leave No Woman Behind” was created to empower women and girls through health and business education, literacy training and better access to loans and reproductive services. Ethiopia has huge potential for scaling up its production of edible oil: favorable agro-climatic conditions for increased oilseed cultivation, the labor-intensive nature of the sub-sector, a conducive business environment, the willingness of oilseed crushers to work at full capacity and the huge local demand. The Joint Programme piloted a model to increase the productivity and competitiveness of oilseed producers, boost the capacity for processing edible oil seeds and improve access to local and international markets. Ethiopia is an ancient country with a remarkably rich linguistic and cultural diversity. This diversity includes tangible and intangible heritage, with both traditional and modern cultural expressions, languages and centuries-old know-how in handicraft production. However, poverty, environmental degradation and climate change endanger the country's cultural riches. The Joint Programme's aim was to contribute to the sustainable development of Ethiopia by promoting its cultural heritage and diversity, developing the creative industries and encouraging dialogue about environmental preservation among the country's diverse communities. An MDG-F programme steers pastoral communities towards better rangeland management in the face of climate swings. An MDG-F-supported initiative fights poverty by helping to revitalize one of the country’s major agricultural sectors. 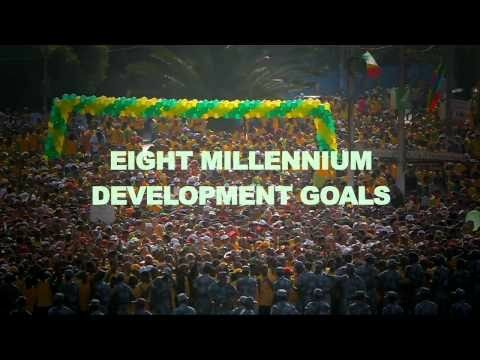 Dialogue forums organized by the MDG-Fund are helping bring together Ethiopia’s religious and cultural communities. Thirty-five thousand people took to the streets in Addis Ababa on 21 November to participate in the biggest road race on the African continent, the Great Ethiopian Run.